There is a powerful yet simplistic thread that binds this album of great beauty together. Of course, it can only seem this simple if the songs are strong, the vocals sublime and the playing, if sparse, also excellent and it helps if the arrangements are spot on. In a nutshell, if everything is at least within hailing distance of perfect! This album whilst having a mellow sound also has great strength, with every song creating it's own often, if not dark, certainly a mournful solemnity, but one that has huge appeal. The talented duo are Laura Wortman and Kagey Parrish. This is the fourth studio album by the pair and it is produced by Nicholas Sjostrom, with Dave Hadley helping out on pedal steel, E.J. Shaull-Thompson on drums and Sjostrom himself on bass and piano. The ten excellent songs are all Honey Dewdrops originals and mark the culmination of three years of travelling and gigging. Huge credit should go to not only the duo, but also to the support musicians for their tasteful assistance without any sign of histrionics and a large slice of credit to the producer for the excellence of the arrangements and for allowing the songs the breathing space that enables them to flow beautifully and highlight Laura's expressive, often sublime vocals. Certainly this can be referred to as a 'late night album' (as a friend described it!) with it's gentle tempo's, gorgeous melodies, restrained arrangements and Laura Wortman's peerless, beautiful vocals. Conversely try listening to it at any other time of the day and you won't fail to be impressed by the gentle dynamism of this excellent recording that certainly gets much of it's beauty from Laura's voice but with Kagey Parrish's pleasantly edgy vocal adding a nice touch of diversity to these beautifully written compositions of which nine are songs and the final track, Remington, an excellent aoustic guitar supported, banjo led instrumental. To a large degree it is the addition of the banjo that helps to take the album from the 'merely' beautiful to a mellow edginess, not necessarily on it's own, but in terms of the way it draws together the various elements that make up the mellow sounds into an area whereby anyone hearing these songs will be hooked by that small diverse edge that enables them to realise there is considerable power and depth to the recording that contrasts with the sublime beauty. The album gets under way with Same Old a tale dominated by Laura's stunning lead vocal with Kageys vocal harmonies joining with the banjo and giving the song an appealing old timey atmosphere whilst the addition of haunting steel guitar makes it timeless. On Horses the banjo and acoustic guitar give sparse but essential support to the excellent lead and harmony vocals on this duet that has Laura on lead with Kagey offering a perfect harmonic blend. Whilst Kageys vocals are excellent he obviously recognises the beauty of Laura's and allows her voice all the space it needs, at the same time adding a deeper hue of colour that often lifts the songs to greater heights. Fair Share Blues provides a lovely change of direction with harmonica joining the banjo and guitar and the weeping steel adding to the mellow haunting sound on a quite dramatic song, this time with Kagey on lead and Laura adding harmonies. There is a lovely acoustic guitar sound on Young with Kagey adding an excellent lead vocal on a song that has an easy going charm but with just enough of an edge thanks to the addition of the banjo. Finally, Numb includes a nice harmonica, steel and acoustic guitar supporting Lauara's gorgeous vocal on a sad dramatic tale, belied by the slow moodily haunting music that is given added power by the gorgeous steel guitar solo. 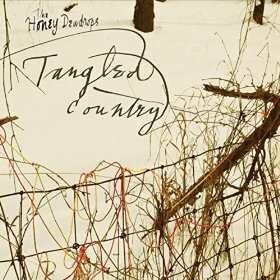 This was never going to be an album that rocks but neither should it get lost amongst many of the the pleasant, mellow, if often bland sounding recordings that many duo's within the folksy country sub genre present us with. There is not only great beauty on this reflective album but also a depth that is certain to be envied by most of their peers in this loose generic field.